Managing regulatory compliance is a big hassle for pharmaceutical industry. A number of pharmacies are now turning to customer relationship management software to execute sales plans and grow their revenue. CRM for pharmaceutical industry is designed to centralize all contacts and leads, improve efficiency of sales representatives, organize staff’s work for maximum productivity, and monitor spending outlays. Here are top CRM solutions for pharmaceutical companies. The major challenges faced by pharmaceutical companies include restricted physician access, strict regulatory compliance requirements, and difficulty in finding more efficient communication channels. Stay ahead of the competition with this revolutionary customer relationship management tool that comes with sales management, lead management, campaign management, and sales forecast capabilities. Salesforce makes it easier to customize communication channels, tackle loss of product demarcation, enhance physician access, overcome regulatory constraints, and retain a collaborated team. Cons: Editing a few fields after posting can be a hassle unless you are experienced in using the system. Initially, it can be little confusing to find how exactly everything works. Intuitive and easy to use, TeamSupport is designed to keep everyone involved in the sales process in the loop through the integration of product development, customer service, and sales. Easy to configure and customize, the pharmaceutical CRM solution is scalable and can seamlessly expand from a simple help desk solution to an enterprise wide system. The user-friendly software-as-a-service solution facilitates customer management, ticket management, collaboration, customer self-service, and integrations. Cons: Automated system updates can make things little confusing for users. With a centralized, user-friendly interface, Freshdesk is designed with multiple capabilities, making it easy to manage multiple workflows, groups, and escalation procedures. The Saas-based CRM for pharmaceuticals has multi-language and time zone capabilities, which automates multiple processes and integrates with a range of communication channels, including social media. One integrated platform makes it super easy to manage a stream of tickets and respond to customer messages directly through the interface, without having to log into social networks. Cons: Though it has an intuitive interface, users may find it little time-consuming to getting used to the ticketing format. But its array of features, capabilities, and scalability make Freshdesk a good investment for any pharmaceutical company. With sales & marketing automation and accounts & customer relationship management capabilities, SugarCRM is an easy to use and customize solution. It is easy to integrate with third party applications and provides sales executives complete access to the information required for promotion and marketing to the healthcare industry. With the choice to use it as an on-premise solution or host it in the cloud, SugarCRM ensures that updated information can be accessed anywhere anytime so that sales reps are always prepared. It boasts a multi-tenant architecture and is fully configurable to cater to your specific needs, making it easy to keep track of clients and conversations. Cons: The feature-rich software can be confusing sometimes, especially if you are new to the system. Moreover, there is no option to set the number of favorite reports on the landing page. The cloud-based platform, CRMNext is designed with lead tracking, customer management, and opportunity management capabilities. The solution allows complete tracking of all marketing and sales activities, manage regulatory compliance, and enhance medical representative productivity. The CRM for pharmaceutical companies efficiently performs an analysis of customer behavior, captures service requests and sales leads, measure critical performance indicators, and help analyze competitor products in order to devise product strategy. The software keeps track of relevant trending topics in social networks. Cons: The product is easy to use once you have mastered it. However, there may be initial hiccups when it comes to understanding the interface. Still feeling overwhelmed for choice while looking for the best pharmaceutical CRM? Worry not. 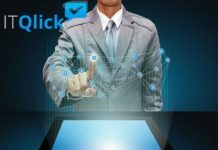 ITQlick can help. With decades of experience in the IT industry, we are well-versed with software solutions available on the market today. Our team of experts can make the best software recommendations to help you manage, grow, and prosper in your industry. So what are you waiting for? Come in touch with the experts!